If one wants to examine the absurd lengths as to where the PC Police have taken us, one needs to go no further than the misrepresentation of Rep (D) Tulsi Gabbard as an Islamophobe! This is the same war veteran and Congresswoman who has advocated AGAINST the regime change policies in Iraq, Syria and Libya – all Muslim majority countries. Simply talking about extremism within some sections of the Muslim Community does not make one an Islamophobe. Congresswoman Tulsi does not adopt broad bush tactics. Her discourse is clear, nuanced and to the point. I would know since I am a Muslim. Rep Gabbard’s statements in favour of Muslims who sacrificed their lives for speaking out against extremism is a testament to her sincerity and support to the Larger Muslim community. Few have spoken as clearly and as passionately in support of slain Sufi virtuoso Amjad Sabri as Rep Tulsi has! Therefore it is absurd to call her an “Islamophobe” when she has been more sincere to the moderate Muslim cause – as opposed to Gulf-funded propagandists who want to stifle debate on (Saudi-sponsored) extremism that is now being spread through US and European mosques! All Muslims are not extremists. We are a diverse and heterogenous faith like any other. However, there are a sub-sub sect like the Wahhabis and Deobandis that have been responsible for the attacks on our homeland since 1993! that do have a disproportionate monopoly on faith based violence at the global level. Calling out their pronounced and predominant exclusivist and intolerant ideology does not make one an “Islamophobe”. In the aftermath of the Paris and San Bernardino attacks, the world can no longer afford apologist and politically correct discourses on terrorism. During my recent trip to Pakistan to attend an international educational and cultural conference in Karachi, I had an interesting discussion on the Paris attacks. A warm and friendly American academic colleague suggested how terrorism could be attributed to U.S. foreign policy failure and mentioned Iraq as an example. He opined that global terrorism could be the natural reaction of millions of Muslims who were adversely affected by the U.S.-led invasion of Iraq and elsewhere. Much as I appreciated the self-criticism of my esteemed American colleague, as a Muslim from a multi-sect background, I begged to disagree. If terrorism is simply a result of bad U.S. foreign policy – and aspects of such policy have certainly been disastrous – then why are the major affectees in Iraq not lashing out? Why were there no Ezidi (or Yazidi) suicide bombers in Paris or London? Why are no Iraqi Shias – who have suffered the highest casualties not only at the hands of the ISIS but also before that at the hands of Saddam Hussain and his Baathist machinery -exploding themselves in markets and train stations in Europe and North America? And why were there no Pakistani Sunni Barelvis, Sufis, Iraqi Kurds, Syrian Christians and Yemeni Shias amongst the fanatics cowardly gunning down innocent Parisians who were simply enjoying a music concert at the Bataclan theatre? 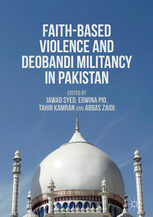 Closer to my origins in Pakistan, the Sunni Barelvis, Sufis and Shias along with Ahmadis and Christians suffer regular violence at the hands of proscribed militant outfits such as the Sipah-e-Sahaba Pakistan (SSP, currently operating as Ahle Sunnat Wal Jamaat (ASWJ), Lashkar-e-Jhangvi (LeJ) and the Pakistani Taliban (TTP). Indeed, not a single incident of suicide bombing or indiscriminate massacres in Pakistan can be attributed to Sunni Barelvis, Sufis, Shias, Ahmadis, Christians or Hindus. Thus, despite certain ramifications, terrorism is not entirely attributable to bad governmental policy. Instead, irrespective of the geographical or political context, it is possible to trace the common denominator in the world’s most lethal terror outfits, namely Boko Haram, ISIS, Al-Qaeda/Al-Nusra, Taliban and SSP/LeJ. What’s common in them? It is Takfiri jihadism of the Salafis/Wahhabis which is rooted in the ideologies of Ibn Taymiyyah (1263-1328) and Muhammad ibn Abd al-Wahhab (1703-1792). In South Asia, takfiri jihadism was adopted and practiced by the Deobandis and their predecessors, from Syed Ahmed’s (1786-1831) jihadist movement to the Taliban and SSP/LeJ. Similarly, terrorism cannot be blamed on economic deprivation. If that were the case, the increasingly oppressed and disenfranchised Christian and Hindu communities of Pakistan would have taken the lead in terrorist activities. Yet as per an academic research conducted by Dr Ejaz Hussain at the University of Pennsylvania, 90% of the terrorists in Pakistan are from the Deobandi sub-sect, a South Asian variant of Wahhabism. My point to my esteemed American colleague was this: while aspects of U.S. foreign policy are problematic and need to be rectified, we can neither ignore the common identity of terrorists all over the world nor can we overlook the fact that the majority of the victims of this terrorism are Muslims themselves. 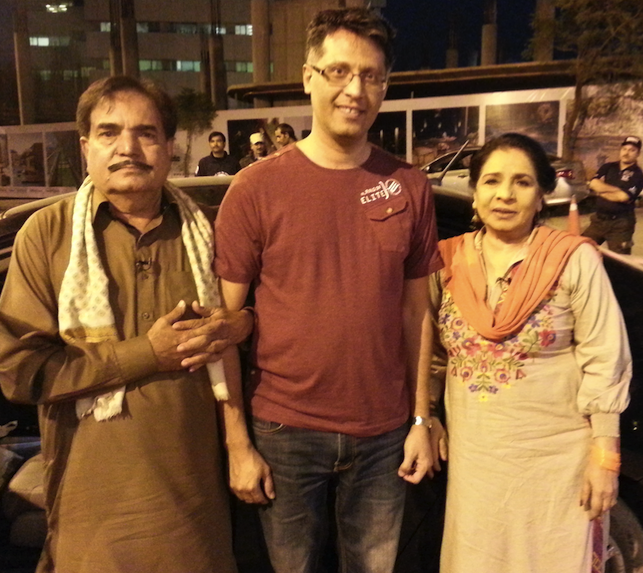 After the conclusion of the conference, I took out a few hours to revisit my past years in Karachi from the mid-1990s. At the harbour pier, I came across a local celebrity couple who played the central role in a very popular 1980s TV show, “Sona Chandi”. The show was penned by a leading left liberal intellectual, Munno Bhai and centred around a Pakistan where a rural migrant couple displayed simple but sincere folk wisdom to their new urban friends. The show highlighted the diversity, inclusivity and warmth of the average Pakistani. In spite of decades of Saudi funding and takfiri indoctrination during and after the Afghan jihad, this warmth and openness is still the hallmark of the average Pakistan. 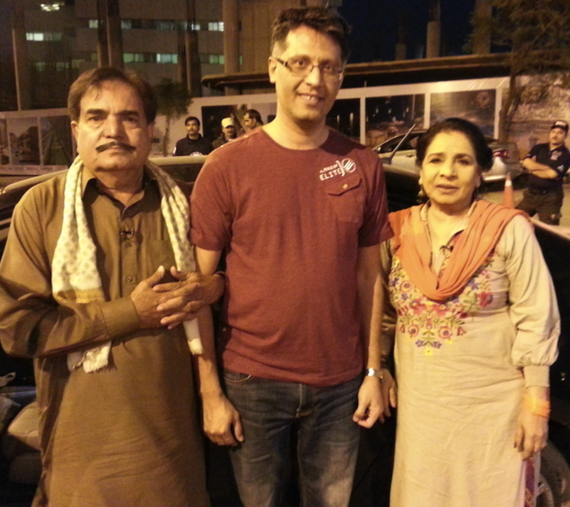 Even after the State’s manipulation to reengineer and distort a diverse Pakistani culture rooted in its South Asian past, most Pakistanis I came across still remain open to the world and I was lucky to experience their hospitality during my short trip to Pakistan. However, I could also not ignore the changing ground realities of what decades of takfirization have done to my country. 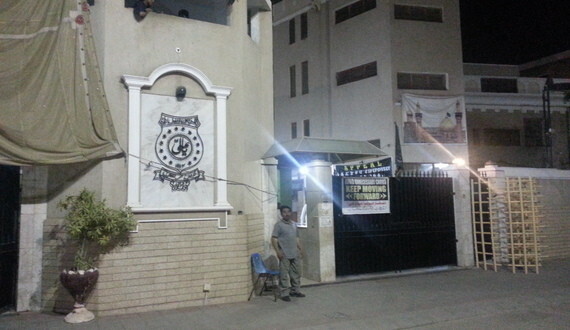 The Sunni mosque in Karachi’s old district had been taken over by a hardline group with ominous graffiti in the area against Shias, Sunni Sufis and Ahmadis. After several targeted killings in the neighbourhood, the Shia mosque near Soldier Bazar had multiple checkpoints and tower sentries to protect its attendees from the SSP/LeJ/TTP network. Similar security arrangements were there at the Sufi shrine of Abdullah Shah Ghazi, which suffered a suicide attack in 2010. I had been away for a decade and half but even then I had begun to see the effects of what takfiri indoctrination had done to a very diverse and vibrant society. Those few hours brought back bittersweet memories of a Pakistan that I grew up in. The Paris attacks and the tragedy it brought to scores of families are still fresh but in Pakistan it seems, the scars run far deeper. As per government estimates, more than 50,000 people have been killed in takfiri terrorism in the last few decades and the study alluded to earlier highlights the breakdown of the perpetrators. From the Ashura massacre of Shias and Sunnis in Karachi in 2009, to the massacres of Sunni Sufis and Ahmadis in Lahore in 2010 and onward to the massacres of the Hazara Shias in Quetta (2012-2014), schoolchildren in Peshawar (2014) and Christians in Lahore (2015), there is a common thread. These were not incidents of ‘sectarian violence’ (a false neutral term used in the mainstream media) but systematic attacks against nearly every faith and sect in Pakistan, i.e., all those who disagree with the takfiri and jihadist agendas of the perpetrators. The common denominator behind all these attacks are interlinked groups like SSP/LeJ and the Taliban. Despite being a banned organization and proudly owning up to thousands of murders and scores of massacres, SSP/LeJ (aka ASWJ) and its various incarnations and aliases roam around freely. They are welcomed and provided a free pulpit on the mainstream media channels and are regularly feted by certain ‘sympathetic’ journalists and politicians. In Pakistan’s capital city Islamabad, the notorious ASWJ-affiliated Lal Masjid (Red Mosque) has publicly declared its support for ISIS even as it refuses to condemn the murder of 150 schoolchildren in Peshawar by the Taliban. Decades after it was founded with the tacit support by the military dictator General Zia-ul-Haq and billions of dollars of Saudi funding later, it is obvious that Pakistan is hostage to this fringe but powerful militant group and the takfiri mosque and madrassa structures that back it. Days after my return from Pakistan, the San Bernardino tragedy took place and the central perpetrator, Tashfeen Malik, had been radicalized via the same route as scores of my fellow countrymen/women – via the harsh, stark and literalist Saudi-funded school of Wahhabism, and its South Asian version, Deobandism. She and her family are said to have links to the Lal Masjid, the SSP/LeJ and Dr Farhat Hashmi’s Al-Huda Institute, known for spreading extremist Salafi ideology in South Asian Muslim women. This is a major challenge currently facing Pakistan and other Muslim majority nations. Historically peaceful and tolerant Sunni Muslims (Sufis, Hanafis etc) are gradually being exposed to and radicalized by ultra-orthodox Salafi and Deobandi ideologies, embracing the twisted notions of takfir and jihad. Terrorists like Tashfeen Malik and her husband Syed Rizwan Farook are not dispossessed and oppressed individuals. Like many other extremists, they are educated and come from upper-middle class backgrounds. 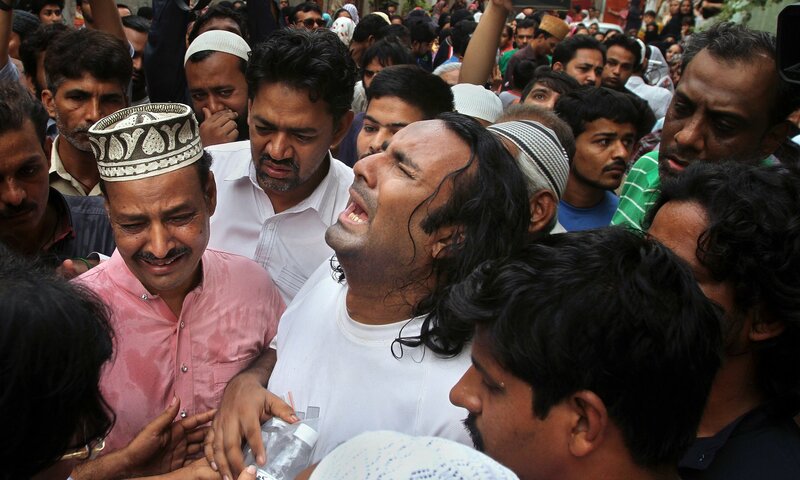 It is not their religion (Islam) or ethnicity (Pakistani or whatever), it is their takfiri ideology which connects them to the likes of Abu Bakr Al-Baghdadi, Osama bin Laden, Haq Nawaz Jhangvi and Baitullah Mehsud and onward to Ibn Taymiyyah, Ibn Abd al-Wahhab and Syed Ahmed. From San Bernardino to Karachi and from Paris to Baghdad, there are common threads amongst suicide bombers and terrorists – nearly all of them subscribe to takfiri creeds. Without acknowledging this, we will continue to stumble in the dark and remain beholden to politically correct and apologist driven narratives. Generic terms such as Islamists, extremists or terrorists are counterproductive and useless because they do not specify the perpetrators’ identity and the core source of indoctrination. Similarly, calling them Sunni is hugely problematic because the Salafis/Wahhabis and Deobandis represent only a tiny fringe – perhaps less than 10 per cent – of the global Sunni population. As a matter of fact, these militant have killed more Sunnis than any other sect or faith group. Until we diagnose the actual problem of militant Salafism and Deobandism along with its takfiri and jihadist ingredients, we cannot prescribe a solution and will continue to see more lives lost. 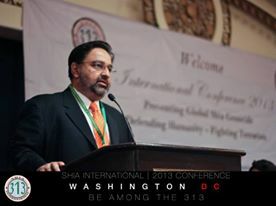 At the same time, instead of stereotyping, blaming and scrutinizing all Muslim individuals, sects, mosques and charities, the media and security agencies in the West and elsewhere need to focus their attention and resources to the takfiri elements within Salafis and Deobandis and their financial sponsors in Saudi Arabia, Qatar and elsewhere. Finally, I would like to offer some advice to my Muslim friends and activists. It is neither truthful nor productive to deny the ‘Muslim’ identity of these militants. The denialist and apologist approach is as problematic as is a stereotypical approach of blaming all Muslim sects and individuals with a broad brush. By denying or diluting the specific takfiri Salafi and Deobandi identity of these militants, the terrorist apologists and Islamophobes are helping no one but the terrorists, providing them with legitimacy as well as obfuscating their true identity. And by failing to distinguish themselves in clear terms from those fringe sub-sects that are undertaking violence, and by not informing the rest of the world, the Sunni Muslim victims of takfiri violence will continue to be treated in the same category as the perpetrators. Takfiri: A takfiri is an extremist Muslim who accuses other Muslim individuals, groups or entire society of kufr (infidelity) due to political, ideological or sectarian differences, and resorts to violence to enforce a takfiri agenda. Salafism: The ultra-conservative movement within Sunni Islam that rejects cultural diversity and Sufi practices declaring them religious innovation (bidda) and polytheism (shirk). The Salafi movement generally draws on the ideologies of Ibn Taymiyyah and Muhammad ibn Abd al-Wahhab. Deobandi: The ultra-conservative movement within Sunni Islam in South Asia, which is influenced by the Salafi/Wahhabi ideology. The name derives from Deoband, India, where the madrassa Darul Uloom Deoband is situated. The Deobandi movement was founded in 1867 in the wake of failed jihadist movements of Syed Ahmed, Shah Ismail and Qasim Nanotvi. Al Qaeda, ISIS, Al Nusra, Boko Haram, Al Shabab, Taliban and Saudi family are different names for the same exclusionist and hateful ideology that drives Global Takfiri Terrorism. Different wrapper but same candy. The first Takfiri Terrorists were Saudi family. The Ottomans sent their general, Mohammad Ali Pasha to take on the Wahhabis in the 19th century after the later had destroyed Sunni and Shia shrines in Iraq as well as committing massacres of other muslims. The Wahhabis persisted in their violence in Arabia until 1811, when Mohammed Ali Pasha, the viceroy of Egypt, was engaged by the Ottoman Sultan to address the Wahhabi nuisance. He appointed his son Tosun Pasha commander, but his forces were badly defeated. Ali Pasha then assumed command, and in 1812, swept through Arabia, eradicating the Wahhabi problem. Two of the worst Wahhabi fanatics, Uthman ul Mudayiqi and Mubarak ibn Maghyan, were sent to Istanbul, paraded through the streets, until they were executed. Ali Pasha also sent troops under his second son, Ibrahim Pasha, to root the Wahhabis out of Syria, Iraq and Kuwait. Those Arabs that had suffered at the hands of the Wahhabis rose in revolt, joining Ali Pasha’s forces. In 1818, the Wahhabi stronghold of Dariyah was taken and destroyed, though some of the Saudis received protection from the British in Jeddah. Saud ibn Adbul Aziz had died of fever in 1814, but his heir, Abdullah ibn Saud, was sent to Istanbul, where he was executed along with other captured Wahhabis. The rest of the Wahhabi clan was held in captivity in Cairo. The British who starting sending spies to Hijaz to create Wahhabis in the first place did not give up. They proceeded to weaponize the Saudis and used their religious bigotry to overthrow the Ottomans, the last legitimate Muslim monarchy. The Ottomans were overthrown and the Saudi Wahhabis took over the Hijaz peninsula at the end of the First World War. This makes the Saudi State the first Taliban or IS or the IS that succeeded. Hijaz is sacred to 1.7 billion Muslims all over the world as it houses the Holy mosques of Mecca and Medina. There were global protests by both Sunni and Shia Muslims condemning the Wahhabi takeover, but to no avail the British prevailed. The Saudi Wahhabis continued to get British support in exchange for oil concessions. They furthered their message of exclusion, hatred and Takfir by using the oil revenues and revenues from Hajj (the Muslim Pilgrimage). Since this hateful ideology is such a tiny part of Muslims, the Saudis were forced to call themselves reformist Sunnis. This is just a cover for radical Takirism used for creating hate, terror and war. In SouthEast Asia they created alliances with the Deobandi movement to legitimize the Saudi overthrow of the last Muslim Caliphs, the Ottomans. The exact same formula is used the war in Syria. European Muslims from Brussels, Paris and other cities are used against Bashir Al Asad in Syria. Decades of Takfiri Brainwashing and billions in Saudi funding of Mosques in Europe ensures a reliable resource of hate driven warmongering youth. Charlie Wilson praised the Mujahideen and called them freedom fighters who turned out to be Taliban and Al Qaeda. Similarly John McCain praised the Free Syrian Army freedom fighters who have turned out to be ISIS. This time because of globalization and since at least part of the recruitment base is Europe, we should expect a lot of terror attacks in Europe and it should be no surprise. Brussels like Paris is a direct result of supporting Saudi, Qatari and Turkish Jihadis. 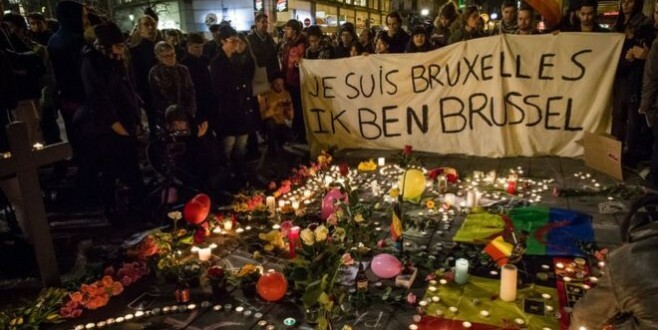 The Paris massacre was planned in Brussels. Europe has been radicalised by Wahhabi madrases and European radicals are fighting on behalf of Al Qaeda/FSA/ISIS/Al Nusra in Syria and Iraq. Brussels is blowback for NATO’s support of Wahhabi jihadists against the elected governments in Syria and Iraq. A strange aspect of these conflicts is that Western leaders have never had to pay any political price for their role in initiating them or pursuing policies that effectively stoke the violence. Isis a growing power in Libya, something that would not have happened had David Cameron and Nicolas Sarkozy not helped destroy the Libyan state by overthrowing Gaddafi in 2011. Al-Qaeda is expanding in Yemen, where Western leaders have given a free pass to Saudi Arabia to launch a bombing campaign that has wrecked the country. After the Paris massacre last year there was a gush of emotional support for France and little criticism of French policies in Syria and Libya, although they have been to the advantage of and other salafi-jihadi movements since 2011. By taking up the cause of the Syrian and Libyan opposition and destroying the Syrian and Libyan states, France and Britain opened the door to and should share in the blame for the rise of and terrorism in Europe. By refusing to admit to or learn from past mistakes, the West Europeans did little to lay the basis for the current, surprisingly successful “cessation of hostilities” in Syria which is almost entirely an US and Russian achievement. After the capture of Salah Abdeslam there is talk of security lapses that had allowed him to evade arrest for so long, but this is largely irrelevant as terrorist attacks will go on as long as Isis remains a power. Once again, the wall-to-wall media coverage is allowing Western governments to escape responsibility for a far worse security failure, which is their own disastrous policies. After Paris attacks media and much of the public opinion allowed western leaders to cover themselves in grief, when really it should have examined their role in helping unleash these horrors – not only in Paris or Brussels, but to a much greater extent in the tormented countries that are blessed with their interventionist attention.